Whether through one-on-one coaching or group facilitation, we enhance the leadership effectiveness of new and existing managers. 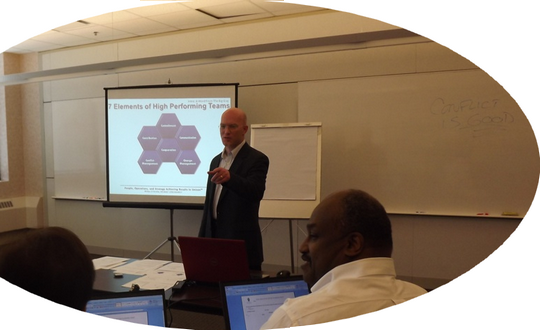 We begin with a battery of assessments that help determine how a manager can most effectively lead according to his or her natural talents and value system. We then develop the manager's core abilities through one-on-one coaching relationships (or group facilitation when requested). Managers apply new skills and habits directly to their jobs while they work with us and are held accountable for progress. This assures sustainable, positive change. After our initial coaching (typically 12 one-hour meetings), we continue accountability coaching at intervals of 1, 2, 6, 10, and 16 months with goals and accountabilities between meetings to instill leadership and goal achievement as permanent, sustainable parts of the manager's life. Each developmental process is highly customized.